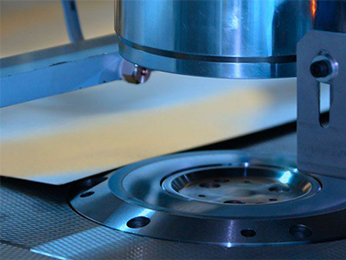 From single solution to complete project concepts, our team of experienced engineers can provide you with intelligent and effective solutions for controlling of industrial processes and machinery. For more than 10 years we bring to our customers reliable and innovative solution in the field of industrial automation and process control. We have specialised in the development of automation controls systems, manufacturing of control panels and commissioning of machines and automation systems. We in Enira Ltd are dedicated to providing the best industrial automation concepts for our clients through our focus on technology, trainings and internal standardization practices. Design an development of automation systems. Visualisation, monitoring and control of processes. Design and implementign of HMI, SCADA and DCS applications and systems. Remote access, monitoring and support. Visualisation and secured access to your process in real time from any location on the globe. Development of applications for data logging, data management and data monitoring with interface and options corresponding to the needs of the customer. Warranty and aftermarket service. Retrofit and upgrade of automation and control systems. Consulting and support customers to enable them to make optimal use of their equipment in the long-therm. FAT and SAT procedures for machines and equipment, developing of the documentation and procedures. Inspection and supervision. Trainings. Enira Ltd provides modern and innovative solutions for controlling your equipment, machines and processes. Industrial automation, information and control sytem technologies are constantly developing and improving, enabling maximum and optimal performance of the industrial plants. By offering you our management systems based on the latest technology and our long term experience, we give you the opportunity to get the most out of your production. Enira Ltd accompanies the whole process of project development, from the study of the problem and the development of the automated system up to the commissioning. Our team is focused on developing applications that are tailored to the needs of the customer by offering a ready-to-use product that meets your production needs. The systems we are developing are modular, which implies the ability to modify and upgrade them at any time. 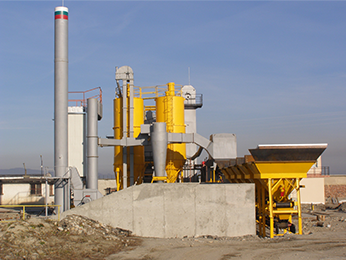 The automated asphalt and concrete plant control system "ENIRA 2006" is a modular solution, which includes intelligent process control modules, visualization and archiving applications. Automated modular system developed for controlling of cylinder filling stations, mainly for gases like N, CO2, O2, Ar and gas mixtures. 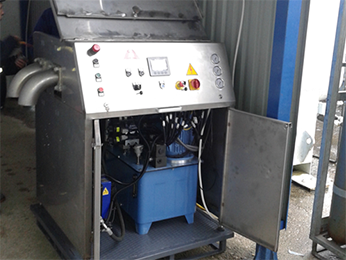 The control equipment is available as separate modules for specific gases or as a complete solution. eLOG is a software application designed to process and visualize database information in order to monitor the production process in long term by accessing the stored in database information.